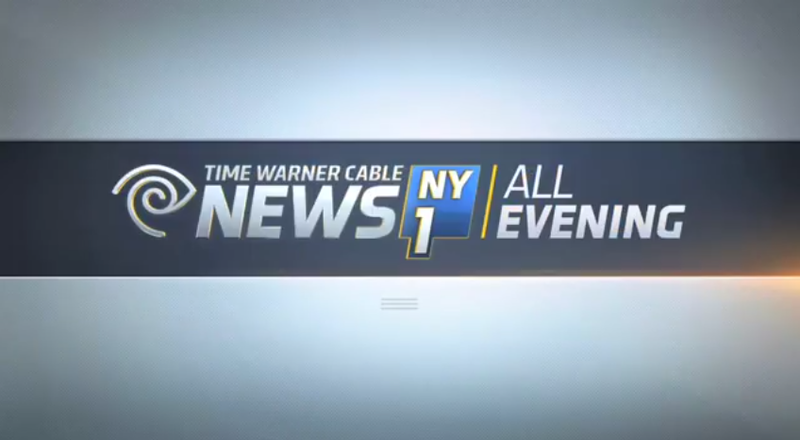 Time Warner Cable is in the middle of a major rebrand of its 16 news networks, including NY1 in New York City. “In an effort to be consistent, all of the local cable news stations within the Time Warner Cable footprint will have “Time Warner Cable News” added to their names. The content of the channel won’t change, something that executives there emphasized when rumors of the rebrand began to trickle out,” writes Alex Weprin on Capital New York. The new look uses the Time Warner “eye-ear” symbol heavily in the graphics, matching the recent graphic brand of Time Warner Cable SportsNet by Troika. The graphics are polished and modern, but not in a Gannett minimal way. Instead, the graphics gleam and have some depth. Along with receiving a new name, NY1 is also receiving a new studio, set to debut later this year. Overall, the new graphics are highly polished, but the new naming is terrible. While it adds the corporate branding, it’s a mouth full for anchors and viewers.